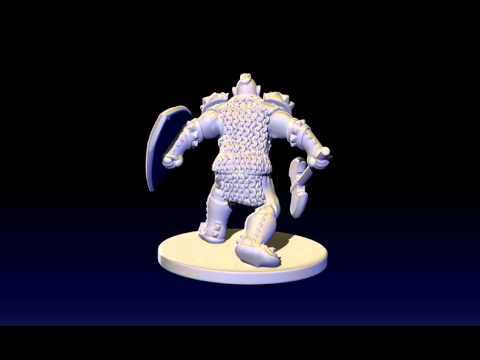 1:60 scale (28mm) miniature for use with table top role playing and war gaming. Medium sized creature with 25mm (1”) base. Available in White Processed Versatile Plastic, Smooth Fine Detail Plastic, Smoothest Fine Detail Plastic and Professional Plastic (black or gray).